Crawford, Murphy & Tilly (CMT) served as program manager for the $8.6 million Grissom Aeroplex Wastewater Treatment Upgrade Project that provided major improvements to an existing and out-of-date facility that Peru Utilities had acquired from the U.S. Air Force. 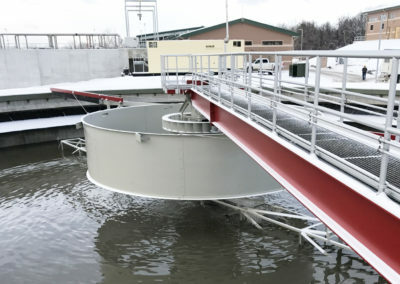 Improvements included mechanical screening and grit removal, improved activated sludge treatment featuring biological nutrient reduction, new secondary clarifiers, UV disinfection, and enhanced biosolids treatment and handling facilities. CMT staff responsibilities included evaluation of upgrade alternatives; preparation of a preliminary engineering report and facilities plan; design of process, structural, HVAC, electrical, instrumentation, controls, and architectural improvements; development of drawings, specifications, and contract documents for bidding; bidding assistance and construction contract administration services. Post-construction services included start-up assistance, operator training, and preparation of operation and maintenance manuals. This project featured a separate equipment procurement phase to allow the owner to control selection of the process equipment to be installed and avoid contractor mark-up. 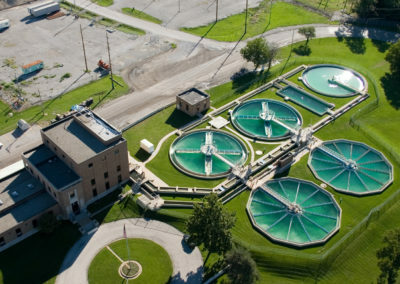 CMT also coordinated SRF funding with Peru Utilities and the Indiana Finance Authority and permitting with Indiana Department of Environmental Management. 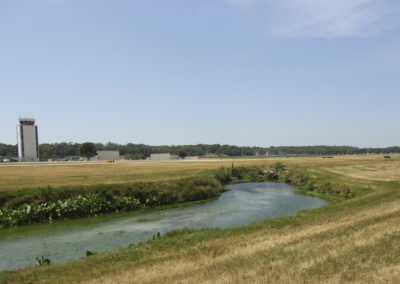 CMT convinced IDEM to move the facility’s discharge to an adjacent stream, eliminating the need for upsizing a 2-mile outfall and a high-water effluent lift station. A highlight of this project was the adaptive reuse of existing assets in the design of the new plant. The conversion of large existing SBR tanks into a new configuration featuring Vertical Loop Reactors ™ (VLRs), along with the replacement of old components throughout the plant with more energy efficient options, resulted in a sustainable and cost-saving solution that also addressed the limited options available on a tightly constrained site. Another feature of the project that scored high marks with the Owner was the complete renovation of the existing office/lab building into a state-of -the-art laboratory, administrative office, and staff support building. Overall, the project achieved its design objective, was completed on schedule and within budget, and continues to deliver cost savings to the client. Peru Utilities rated CMT’s performance with a score of nine out of ten in a client satisfaction survey. The Grissom plant is running fantastic … that plant is a monster at treating high loading.